A problem with your steering wheel is always concerning, and definitely something you’ll want to get fixed right away. Unfortunately, in the case of your Mini’s power steering pump, these issues are not terribly rare, as it is a relatively common issue in this model. Here’s a quick guide to everything you need to know about identifying and fixing your Mini’s power steering pump failure. Mini Coopers are designed to be both compact and fun, so the bulkier steering systems that are found in most cars aren’t ideal for Minis. That’s why your Mini is equipped with something called an Electro-Hydraulic Power Assisted Steering system. It’s unique because it combines the horsepower of a big car with the compact ease of driving a small one. Unfortunately, however, these systems come with a unique set of issues that can get scary if they appear and are allowed to go on unchecked. What Causes Power Steering Pump Failure? The most common cause of power steering pump failure is heat buildup. This is a major mechanical issue with Minis — enough so that you may already be familiar with the power steering pump’s bad reputation for premature failure. Sadly, this reputation is pretty well deserved because the pump is located directly below the exhaust manifold. This means it’s incredibly close to the road, so it’s very vulnerable to damage from rocks, bumps, and other ordinary hazards of driving. Small rocks can even get caught in the auxiliary fan, slowing or clogging the fan completely. As you might imagine, this can lead to excessive heat build-up, which in turn can cause your pump to fail. In that case, it is important to keep an eye out for any problems, so what should you expect with power steering pump failure? Well, the good news is that your steering won’t completely lock up or become unresponsive. 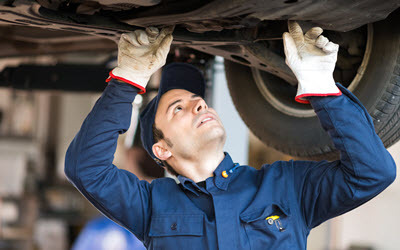 That may be a small comfort in the face of looming car repairs, but it is a great benefit when it comes to the safety of you and your passengers. Although the steering wheel won’t lock up completely, it will become very heavy and difficult to turn, as the failure means it’s now unable to access any power steering assistance. Your steering will now be completely manual, which means you’ll be directing the tires on your own, with no help from the hydraulic steering pump. Unlike some vehicular issues which can often go undiscovered, you’ll probably notice a power steering pump failure right away. No need to waste time on complicated diagnostic guides; you’ll know as soon as the wheel feels suspiciously heavy and you feel like you’re having trouble controlling the car. Because the power steering can cut off at any time, this can lead to some frightening experiences for drivers. Obviously, this isn’t an ideal driving situation, so you’ll want to get your power steering pump failure corrected immediately. It is worth noting that the effects of a failed steering pump will be more obvious at lower speeds, as the wheels are easier to turn manually when the car is going faster. In the event of power steering pump failure, you’re almost guaranteed to need a replacement pump assembly. Depending on the root cause of the failure, you may also need to replace the auxiliary fan or risk another imminent pump failure. Because so many replacements are required, unless you’re a mechanic who specializes in Minis, it’s not a good idea not to attempt this yourself. Instead, take your Mini to someone who actually does specialize in luxury German automotives! At German Motors and Imports, we believe we’re just the right people for the job. We’ve been in business for over 50 years, meaning we have all those years of experience to put to work for you. However, we’re not content to rest in that experience—our technicians are constantly attending new classes and workshops, so we can better serve each customer’s individual needs. We specialize in luxury German automotives, and we have experience working with Mercedes, Porsches, Audis, Volkswagens, BMWs and Minis. With a location convenient to San Diego, La Jolla, Pacific Beach, and Clairemont, we’re easy to access from the entire San Diego metropolitan area. So, what are you waiting for? 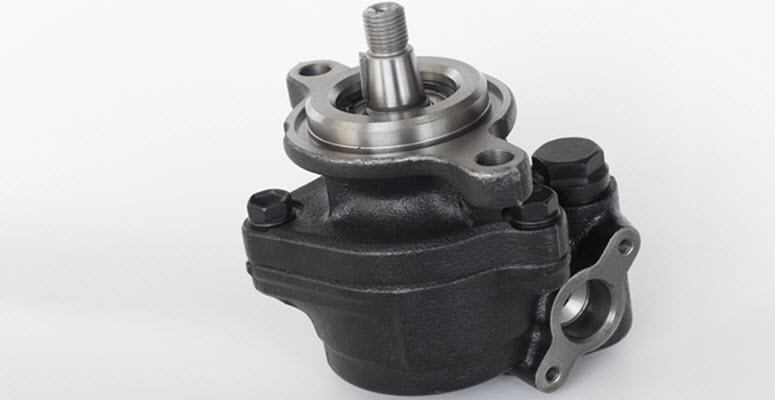 Let us fix your power steering pump failure and give your Mini the care it deserves today!